The choice is easy if your looking for high performance with longer powered flight times in the eHawk 2000. As you gain experience with your model you will be able to "feel" the wing and lift conditions that affect it enabling you to greatly extend your flight time performance. 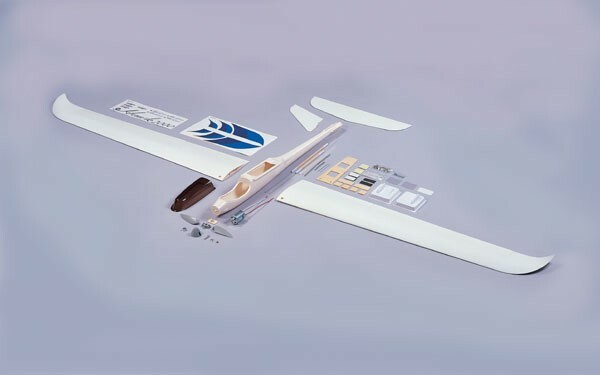 The eHawk 2000 is an electric powered 2-meter sailplane which is intended for use in light to medium wind and lift conditions. 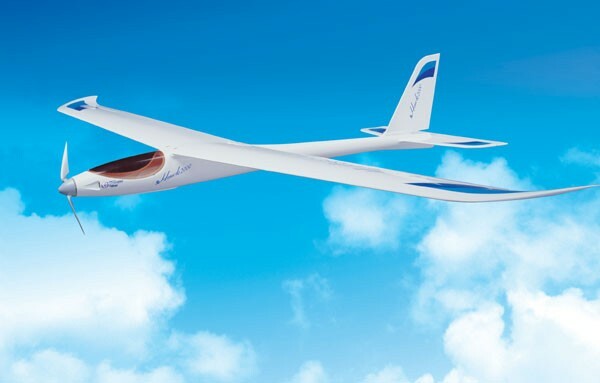 Its airfoil, motor package and design planform are intended to maximize performance under those flying conditions and will provide great results for pilots of all skill levels. Assembly is simple and fast requiring a couple evenings to assemble. Hand launch is simple and effortless as the 540 motor will carry it aloft at a surprising rate of climb. Perfect for your flying site or glider launch slope. 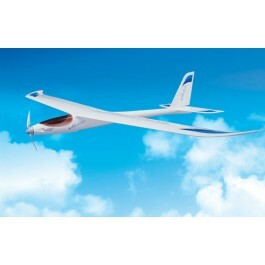 The eHawk 2000 is set up for individual aileron control, elevator and speed control. For even more exhilarating aerobatics, add rudder control. * Wing Span: 80.7 "
* Wing Area: 524 sq. in. * Wing Loading: 14.6 oz./sq. ft.